Proverbs 23:9 Do not speak in the hearing of a fool, for he will despise the good sense of your words. One of the key truths every pastor must understand if he is to successfully deal with an abuser is simply this: not all sinners are the same. How many times have you heard, or perhaps have said yourself, “all of us are sinners. We are the same”? I suspect you have heard this many times. It isn’t true, and let me show you what I mean by this. All human beings are born into this world as sinners. The moment we exit the womb (and even before!) we are rebels against God, despising His Word. We do not become sinners by sinning. We sin because we are sinners. No one needs to teach us. We know by nature and are, as Scripture says, children of wrath. All of us need Christ. All of us need to be born again by faith alone in Christ alone. In that sense, we are all the same at the starting line of our earthly lives. John 8:43-45 Why do you not understand what I say? It is because you cannot bear to hear my word. You are of your father the devil, and your will is to do your father’s desires. He was a murderer from the beginning, and has nothing to do with the truth, because there is no truth in him. When he lies, he speaks out of his own character, for he is a liar and the father of lies. But because I tell the truth, you do not believe me. Contrast Jesus’ manner here with his dealing with the Samaritan woman in John 4. When it comes to dealing with abusers, pastors must grow up and be wise! We must be innocent of evil and yet as wise as serpents in regard to it. Abusers are not like other sinners. Oh yes, it is possible that we could come across a man or woman who, out of ignorance, is not treating their spouse well. But such a person will be quickly and rather easily corrected through biblical rebuke and instruction. Not so the abuser. Abusers, remember, are people who have a fundamental mindset of entitlement to power and control. They are the very center of their universe and they deem themselves fully justified in using whatever means necessary against their victims to control those victims. Such a person is often a bull-blown sociopath. He has no conscience and no ability to feel empathy for others. If you approach such an individual in “love,” thinking that if you just paint them a clear enough picture of the harm they are doing to others that they will be heartbroken and repent, then you are going to fail. They have no heart to be broken! They are, in fact, evil. Peace with everyone surely is the goal for us as believers. But it is not always possible. When you encounter a situation that has a one-sided peace, then living with the fallout can leave you exhausted and bewildered. Over the years I have spent many hours “riding the ambulance” with too many people who have been wounded (and sometimes “left for dead”) by someone they loved or were tied to through blood. I have seen too many people locked in a grid of fright, guilt, and anger because of the “shoulds” and the “oughts” that have been used as weapons to force them into an uneasy peace. I have seen many of them turn to the church or to well-meaning, believing friends or relatives only to experience a total lack of understanding of what they are going through as they try to relate to a person who abhors peace. So often, the person who is doing the “trying” is the one who is blamed if peace doesn’t work. This ought not to be! Well over fifteen years ago I began to see patterns in the people who crossed my path as I spoke around the country and as I worked in a counseling office. Their symptoms were the same, and the “methods” used by their difficult person were the same. In each instance, with very little deviation, I saw a person who wanted a decent relationship living as a hostage of someone who was unwilling to take personal responsibility for his or her actions. I was amazed to note that it did not matter whether the hostage-taker was a mother, a husband, a child, a sister, a friend, or a boss; the behavior was the same, and the results were the same. One person held control and through open rage, passive anger, oily manipulation, or sullen silence stubbornly refused to release his grip. It became more and more obvious to me that the people who consistently operated this way were in a category all their own, yet many Christians I talked with failed to see that the traditional, even biblical, way of handling most relational difficulties might need to be reexamined when this kind of person was part of the equation. They continued to bash their heads and hearts against the proverbial wall, hoping against hope that this time things would be different. Silvious, Jan (2009-09-11). Foolproofing Your Life: How to Deal Effectively with the Impossible People in Your Life* (p. 8-11). Random House, Kindle Edition. Pastors, of all people, must get a firm hold on these facts. 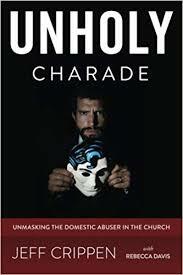 That abuser who has been exposed in your congregation is not your ordinary sinner. He or she is a hard, hard case who must be sent away from your church for the protection of your flock and in particular for the safety of the victim. Pour your efforts into ministering to his victim. The grim reality is that very, very, very few such evil ones ever change. Realizing this is an important and fundamental first step in being wise about such evil.